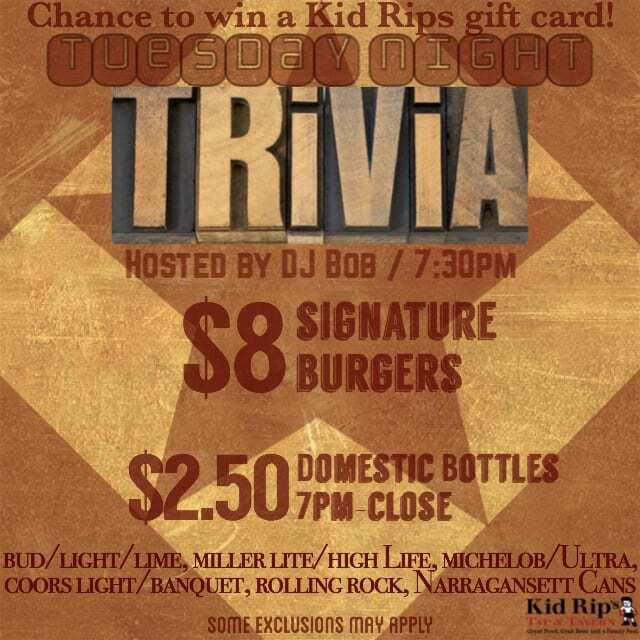 Prizes Awarded as well as a $25 gift card to Kid Rip’s Tap & Tavern. NO TRIVIA TONIGHT!! DJ BOB will be out of town so we will see you next week!! !